What the Government is doing over Nelson's Column in Trafalgar Square will make you MAD! There is currently a cultural war raging across the Western World over the role of statues and place names. Many liberals and hard left activists want to see these torn down and replaced with more 'politically correct' and modern pieces of architecture. There has been outrage however over a planned event by Historic England, which is the government funded body, tasked with looking after some of our most iconic statues. 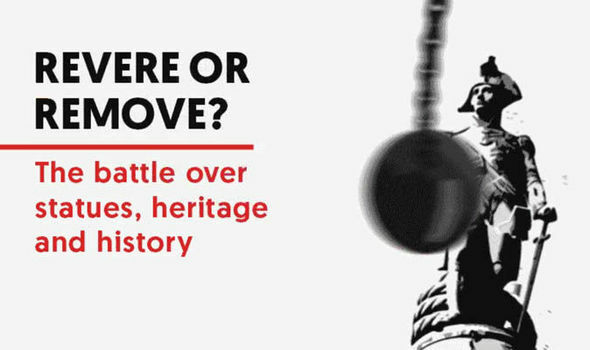 The are holding a conference to discuss one of their new initiatives based upon 'controversial statues and memorials' in England. In order to promote this they published a GIF on twitter with the iconic and well loved statue of Admiral Nelson being destroyed with a wrecking ball! They were immediately inundated with complaints from patriotic British People. Historic England said in response: “Nelson’s Column was chosen because it is so iconic and well-recognised. This does not mean we are in favour of demolition of any monument and the debate is not about Nelson’s column itself. Some of those in attendance at this event have described Nelson as an Imperialist and everything that is wrong with the UK. The very fact they chose to use this image has left people concerned that this could be bulldozed in the future to make way for a more 'multi-cultural' statue. Click here to support our campaign if you agree this is a disgrace! Read: "ANOTHER Grenfell Tower fraudster revealed!!!" Read: "When Justin met Sadiq... This is HILARIOUS!"